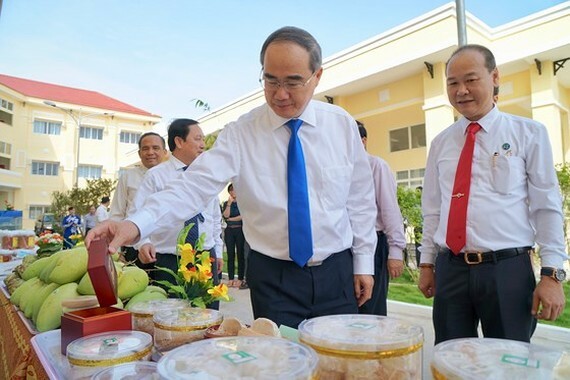 An evaluation conference on socioeconomic achievements and the development of Can Gio district on its 40th anniversary becoming a district of Ho Chi Minh City was held on December 29. 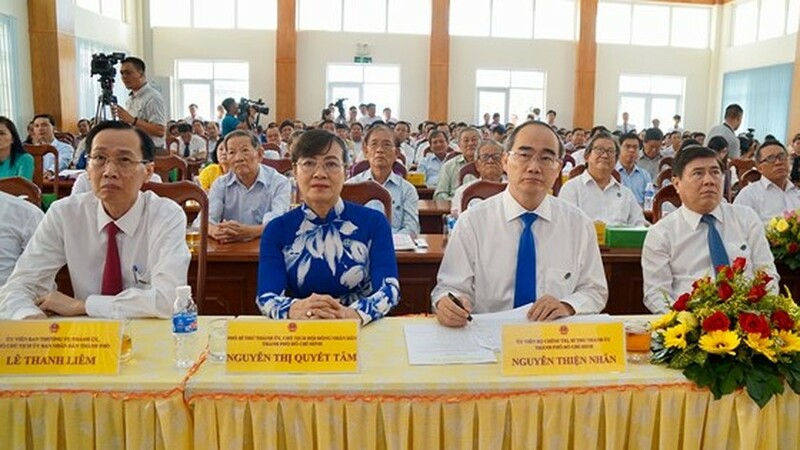 Attending at the event were Secretary of the Ho Chi Minh City Party Committee Nguyen Thien Nhan; Chairman of the municipal People’s Commmitee Nguyen Thanh Phong; director of the Vietnam National University – Ho Chi Minh City Huynh Thanh Dat; Chairwoman of the municipal People's Council Nguyen Thi Quyet Tam; Chairwoman of Vietnam Fatherland Front Committee in Ho Chi Minh City To Thi Bich Chau. 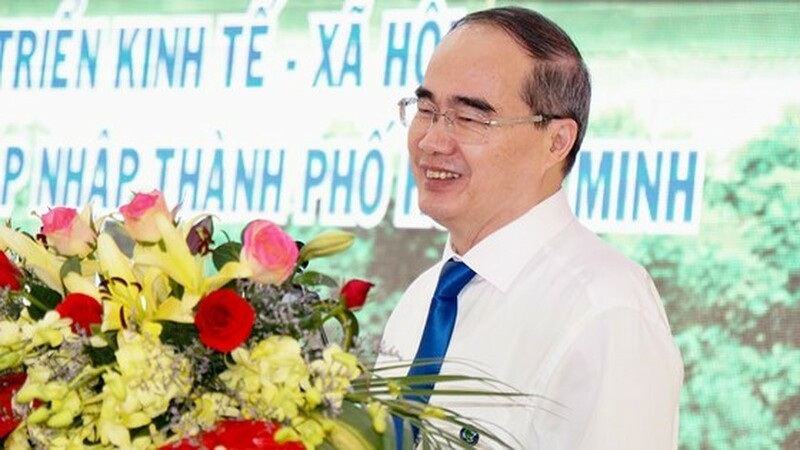 Chairman of the People’s Committee of Can Gio district, Le Minh Dung said that the district's changes and socioeconomic achivements have improved the living of the local residents over the past 40 years. Can Gio district is the only area bordering the sea in Ho Chi Minh City and in its upcoming goals, local authorities will boost sustainable development in the fields of services, agriculture, sea economy, Can Gio Mangrove Forest's protection and development as well as building the district into an international entertainment and tourism area. The People’s Committee of Ho Chi Minh City has approved a detailed zoning plan scaled 1/5,000 of Can Gio urban-tourism area. The sea reclamation project covering on an area of 2,870 hectares is located in a low-lying coastal zone in Long Hoa Commune, Can Thanh Town. City authorities have required relevant agencies and investors to focus on studying and launching climate change adaptation measures in planning and implementing the project. In adddition, projects of the 3.4km Can Gio Bridge on the Soai Rap River linking Can Gio district with the inner city, an upgrade of Rung Sac route, high-speed boat service connecting HCMC's Bach Dang Wharf and Can Gio District, and neighboring Vung Tau City; helicopter charter service carrying visitors from city to Can Gio, 17km sea crossing bridge between Can Gio and Vung Tau are expected to be carried out in the upcoming time, he added. Mr. Nguyen Thien Nhan highlighted the district’s great achievements and significant efforts of the local goverment and people during 40 years. The district has recently seen a 50 percent average increase of visitors per year. 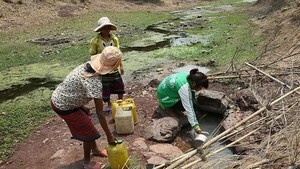 Revenue from tourism has reached VND500 billion. He hoped for a better income after completing the transport systems. On this occasion, the municipal People’s Committee presented traditional flag to the district’s authoritites and people, certificates of merit to 2 organizations, Ho Chi MInh City Badges to 8 individuals for their outstanding contribution to the development of Can Gio. A series of activities is also organized to mark the 40th anniversary of Can Gio district becoming a district of Ho Chi Minh City, such as the inauguration the 200-bed General Hospital, a photo exhibition on Can Gio’s achievements in 40 years, art programs, cultural and sport events. The coastal district is about 50km from the city’s center. Can Gio is a suburban coastal district adjacent to Dong Nai, Vung Tau province to the east, Long An and Tien Giang province to the west. Stretching for 20 km along the coastline, therefore, local people mainly depend on aquaculture, near-shore fishing, salt production, forest management and tourist services for income generation. The district offers tourist attractions to visitors, such as Monkey Island, Hang Duong Seafood Market , Vam Sat Ecological Tourist Area, Rung Sac (Sac Forest) listed by UNESCO as the world biosphere reserve in Vietnam and the Giong Ca Vo ancient site dating back 2,500-3,000 years. Can Gio is also well-known for the annual Nghinh Ong (Whale Worshiping) Festival that is recoginzed as a National Intangible Cultural Heritage in 2013 by the Ministry of Culture, Sports and Tourism. Secretary of the Ho Chi Minh City Party Committee Nguyen Thien Nhan speaks at the conference.